With a little ingenuity, you can erect this blind in less than 10 minutes at your hunting spot. 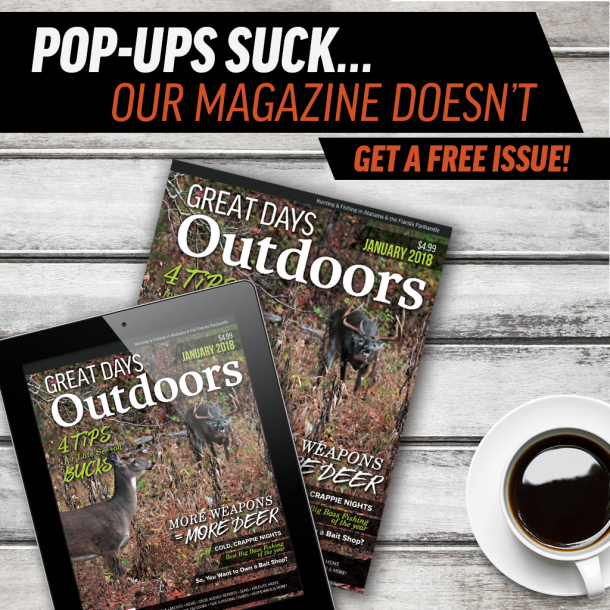 The popularity of hunting from ground blinds has grown tremendously in the past few years. 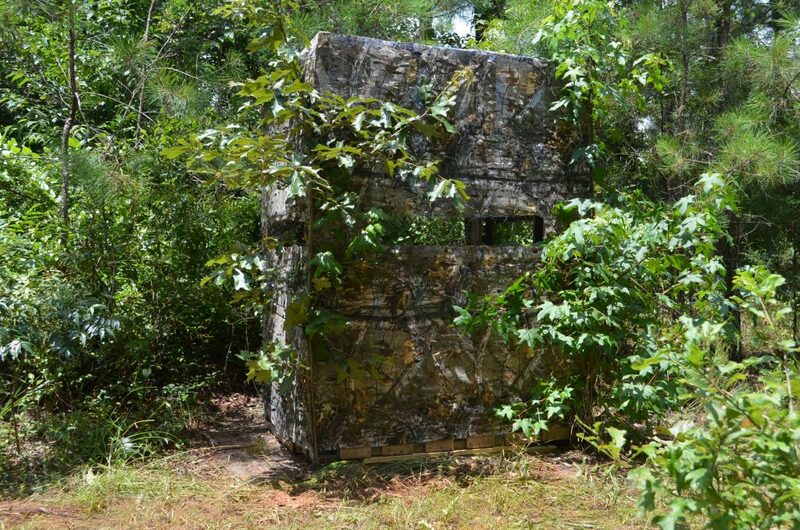 When placed in a strategic location, a ground blind can offer the most exciting close encounters with deer and other game that a hunter could hope for. This is especially true when the blind is left in place for a long period of time, allowing the animals to get used to seeing it. I set up a doghouse-style pop-up blind in what I thought would be a good spot early one deer season, then left it alone and never went to it until the next season. The first morning I hunted it, I had a bobcat walk by within 20 feet, a young six-point buck slowly grazing by at about 20 feet, and a very nice eight-point buck working a scrape about 60 yards away. None of the critters knew I was sitting there. The only downside of leaving a portable blind in place for a long time is the effects that Mother Nature has on it. Later in the year after that memorable hunt, my blind started to fall apart (literally) from overexposure to sunlight, wind, and rain. However, I was so pleased with the success of my earlier hunt out of it that I decided to investigate the possibilities of a more permanent ground blind. That’s how I came up with my version of the pallet blind. 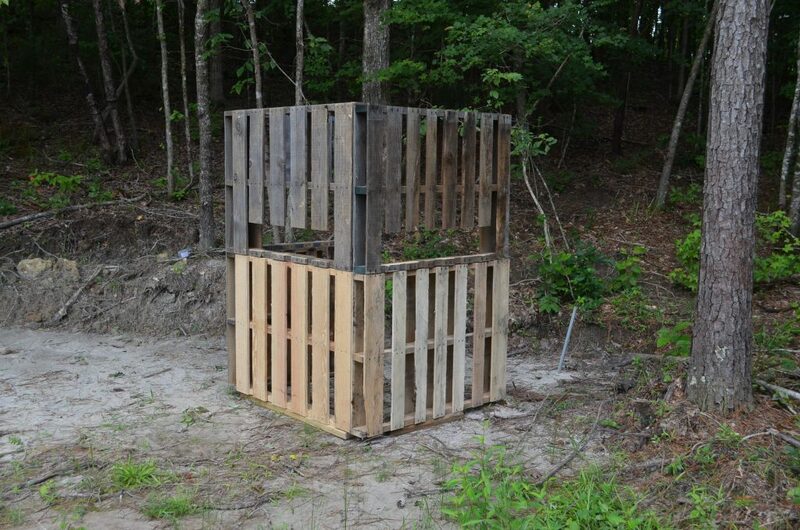 The pallet blind is just that—a blind made from shipping pallets. Most of us are currently interested in saving a few dollars on hunting equipment whenever possible, and pallets are usually free for the asking. In fact, most businesses are happy to have someone haul them away. Just be sure to ask permission. Never assume the pallets are free for the taking when you see them sitting there. Some businesses reuse them. Or the pallets may have been promised to another person. But I assure you there are plenty of free ones out there if you’re willing to do a little legwork to find them. Once you find the pallets, you will need a way to haul them to your hunting camp. A few hand tools plus a little knowledge in carpentry and you are good to go. A full-height blind works well on an elevated platform when you don’t need as much concealment. Wrap it in burlap and screw a few leafy branches to it. You will be amazed at how well it blends with natural surroundings. 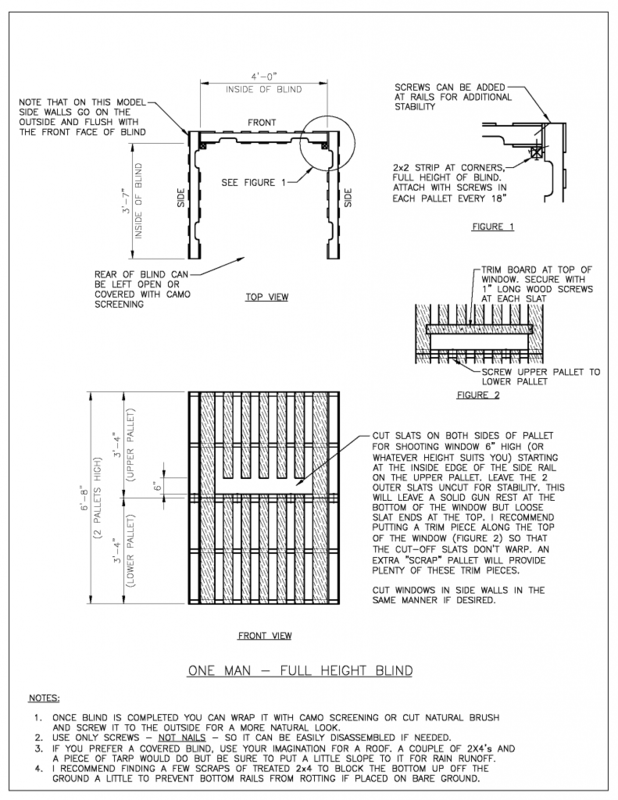 The one-man, full-height blind consists of six pallets, two 2×2 corner strips, and a handful of wood screws. I also recommend finding a few scrap pieces of treated 2×4 blocking to set it on so that the untreated wood is not sitting directly on the ground. The best plan is to have all your pieces cut and ready to assemble prior to going into the woods with it. Then all you need is a cordless screwdriver and you can erect the blind at your hunting spot in less than 10 minutes. Once the blind is erected, it’s time to use your imagination. Remember, it’s a blind made of wood. You can do virtually anything with it. You need a bow hanger? Screw in a hook wherever you want. Need a shelf or two? Screw in some shelves. Want a roof on it? Get a couple of wood slats and a scrap piece of tarp. You can also make it warmer and keep the wind off of you. Just staple roofing felt around the inside or outside of it. Then wrap it with camo burlap, screw some leafy branches to it (or pine limbs), erect it on an elevated platform and you have a shooting house instead of a ground blind. Add another stack of two pallets to the front side and now you’ve got a two-man blind. Be creative and have fun. The sky is the limit and you’ll have a really nice, almost free, hunting blind that will last a long, long time. One tip that will make this easier and faster for you is to get six pallets that are all the same dimension. Once you go in search of free pallets, you’ll quickly find out that there are several different sizes and configurations, but you can come up with six of the same after a little searching. And even if you don’t find six matching pallets, you can still make it work with a little creative cutting and shimming. If you’d like to have a free copy of these instructions as well as instructions for two other variations of the pallet blind, the two-man, full-height blind, and the half-height pallet blind, please fill out the form below. I have plenty of pallets lying around in the yard unused, I never even though about building a deer blind with them. Looks simple enough to build and will certainly save me buying an expensive blind.